As I've become more of a transportation-expert spokesperson for Mobility Lab, it's been a pretty good run lately, including twice being quoted in America's biggest newspaper, USA Today. In my latest commentary, I was asked by the paper's Austin beat reporter, Rick Jervis, about the national perspective on Uber and Lyft leaving the Texas city because of a conflict over whether or not their drivers should be fingerprinted like traditional taxi drivers (the companies contend they should not be fingerprinted). Mobility Lab's take on it is that this is a very disruptive time in the transportation industry and we're still in the very early days of seeing all this play out. Will the desire of Millennials for less car ownership (and ownership in general) than older generations translate into more carpooling, ridesharing, pickup services like transit, and quick-hop options like bikesharing? Will electric and autonomous vehicles create the possibility of less ownership and more flexible public-transportation fleets? And will others step in to provide the kinds of technology that have made Uber and Lyft so wildly successful, while playing more nicely with local governments? 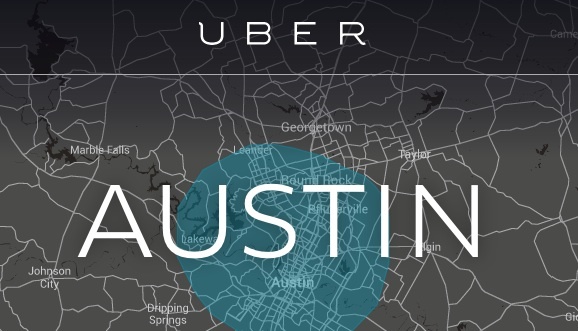 When Uber and Lyft left Austin, a non-profit tech group called RideAustin was right there to take their place, within 15 to 20 days. That's pretty amazing, and my point that the USA Today author got across nicely was that other cities could very easily follow this lead if Uber and Lyft prove to be politically unpopular. 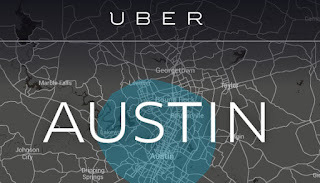 While it seems these options are every bit as safe as, if not safer than, traditional taxis, the public in Austin spoke through a vote that just being tracked on GPS is not enough and that drivers should be fingerprinted. Major cities such as Los Angeles and Philadelphia — where both companies currently operate — have faced similar clashes when trying to regulate the popular ride-hailing companies. But the Austin standoff is unique for the city’s resistance to the corporations and the innovative ideas spawned from the drama, said Paul Mackie of the Mobility Lab, an Arlington-based transportation think tank.